I've been leaving it well alone, only taking down to moisturise and seal. 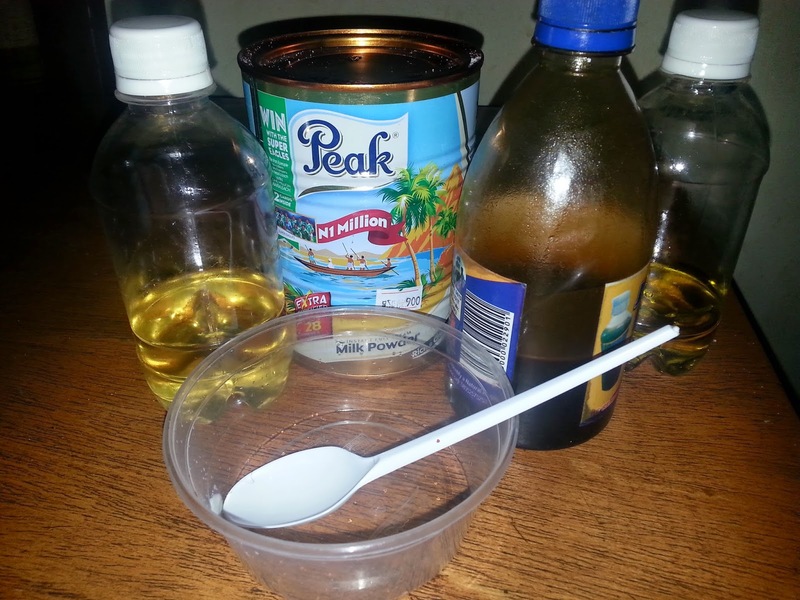 I needed my hair softened and I wanted to prepoo with more than just the usual oil. The kitchen was calling and milk came to mind. I googled to see if other black women are using (cow's) milk in their hair. I may be wrong but it appears very few are (saw none in my brief search). A lot of coconut milk turned up instead. Oh well, can't hurt to try right? It firmed into a very thick, creamy butter. I'm not sure this will happen with fresh milk. I spritzed with water and applied in 4 sections. it hardened my hair somewhat and had ZERO slip so don't try to detangle at this point if you try this. I covered quickly with a shower cap because milk dries hard, then wrapped with a towel and did some chores for 3 hours. Wash- The milk and honey butter rinsed out very easily and I cowashed with my vo5 conditioner. My hair felt amazing! The hardness was gone, it was softened and hydrated and felt injected with health. This prepoo will definitely be revisited. Deep condition- with ORS replenishing conditioner. This stuff works great on its own and interacts well with anything else I put in my hair. No surprises- lots of slip, moisture, soft new growth... happy me. Leave - in: my shea butter mix. It sank right into my damp hair. My new growth loves it. Detangle: with my fingers and then my wide toothed comb. I had to consciously stop myself from running my fingers through my hair. It felt that good. 6 months post and it didn't feel like it. I put in four braids to stretch out my new growth and went to bed. The next day I went to the market and I had the option of a braidout or a wig. I went with the wig. Naija markets are not the scene for cuteness. It turned out to be a good decision- I would have sweated out my braidout. Much later in the day when I went out, it ended up in a bun. That was brave.. i'm glad it worked out for you though... I usually save all the experimenting for when my hair is freshly relaxed so I can easily wash it out.. I tend to stay out of the kitchen though 'cause I once ended up with ants in my hair (story for another day) lol..
My ants story already showed up on Africa Naturalistas. 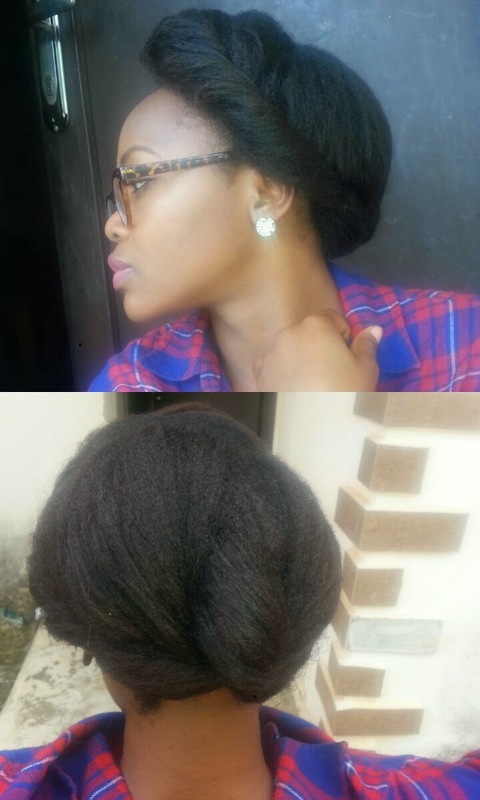 So there I was fresh out of nysc armed with healthy hair practices. My sister gifted me a package of hair goodies from America and my mum was like "what will you do when you run out of products?" so I tried to prove that I could make do with honey and olive oil and all kinda fruits. I probably didn't wash them out well. At night while sleeping with my brand new satin pillowcase, I felt multiple pinching sensations on my scalp. I turned on the lights and saw ants all over my pillow and more in my hair. Biting away. My mum had to get out a picking comb to get out all the ants that night. At least we got to bond in a way that we hadn't since my days of picking lice from my schoolmates in primary school.. 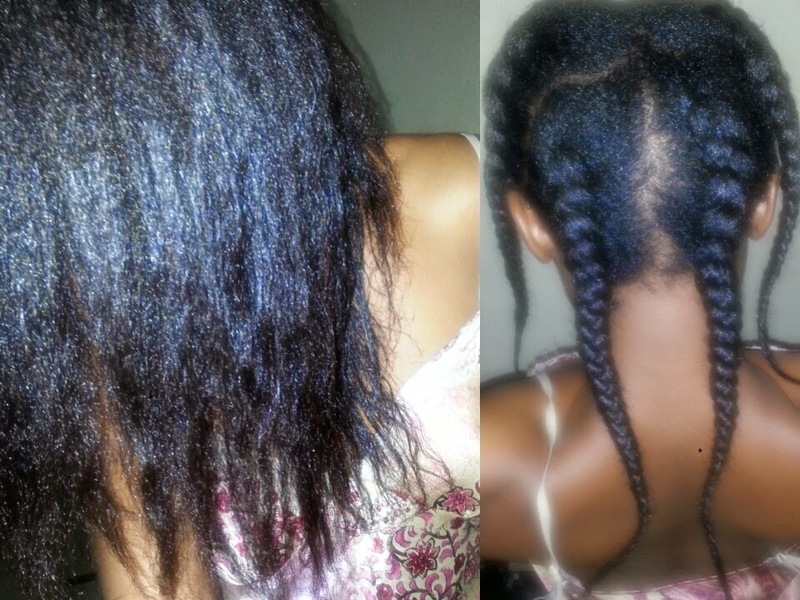 I guess with having the same healthy hair practices we also have common mishaps.. lol.. I started my hair journey as a student so I had to keep it simple and use inexpensive products. They worked so I'm keeping it that way. I'm transitioning and I admire those like you with the courage to big chop. 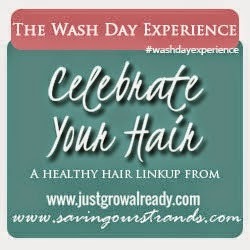 Good luck on your hair journey!